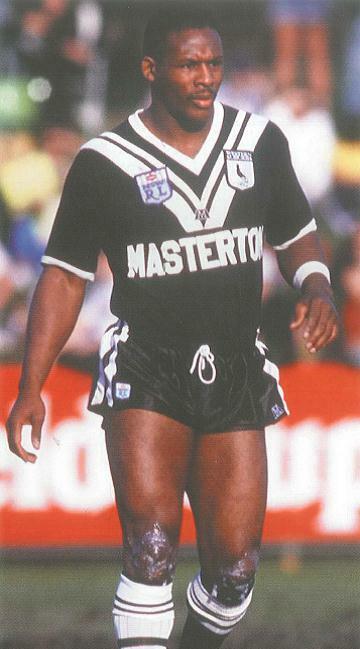 Great Britain superstar, Ellery Hanley signs a lucrative deal to play with Wests in Sydney during the English off-season. Hanley was playing for Wigan at the time, and the previous season had scored 25 tries in 38 games. At the same time, Australian, Brian Smith signs a new two year deal to coach, Hull after taking over the reins in July that year. His Australian contracted players included future Cowboys coach, Neil Henry, David Boyle and Craig Coleman. Leeds signed former Cardiff rugby union back, Phil Ford from Bradford for 95,000 pounds, including a part exchange of former Valleys utility back, Mark Wilson. Steve……the Mark Wilson who was part of the deal that brought Phil Ford to Leeds never played at Valleys…….he was a local Leeds lad. Thanks Colin. Mind you, the Valleys Mark Wilson would have gone well at Leeds! !